Speaking of the Venice Biennale, just a day after we posted about YARAT!‘s second annual Baku Public Art Festival PARTICIPATE, the Baku-based art center was already circulating an announcement for “Love Me, Love Me Not: Contemporary Art from Azerbaijan and its Neighbors,” an ambitious presentation of 17 artists from Azerbaijan, Russia, Georgia, Turkey and Iran, to be held alongside the Venice Biennale as one of the special projects in the Arsenale Nord. Curated by Dina Nasser-Khadivi, the exhibition offers up new perspectives on Azerbaijan by putting it in conversation with its close neighbors. The roster includes YARAT! 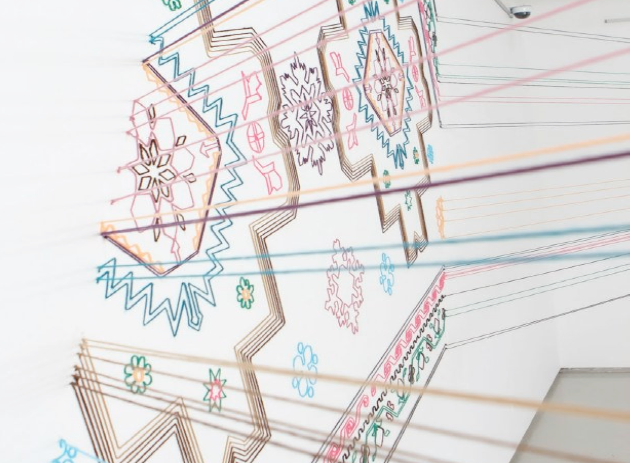 founder Aida Mahmudova, Faig Ahmed, Kutluğ Ataman, Taus Makhacheva, and Slavs and Tatars, whose body of work “Love Me, Love Me Not” inspired the exhibition title. (We might add, they are also just winding down a wonderful show at LA’s Redcat. If you’re in LA, catch it before it closes, March 24.) Slavs and Tatars will also contribute an essay to the catalogue, which boasts work from Tate Curator Nada Raza, Met Curator Nicholas Cullinan, and the marvelous Negar Azimi, who has been ruling the Bidoun empire. The exhibition will open May 30, and will run through November 24, 2013. The website does not appear to be functioning yet, but once it is, we’ll post a link. 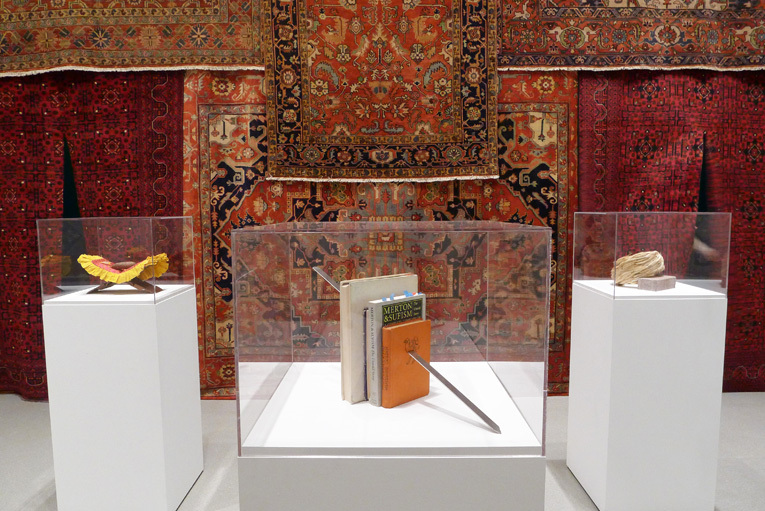 Installation view of Slavs and Tatars, Beyonsense, MoMA, New York, August 15 – December 10, 2010. Photo courtesy of the artists. This entry was posted in Uncategorized and tagged Art in Azerbaijan, Art in Baku, Baku, Dina Nasser-Khadivi, Faig Ahmed, Love Me, Love Me Not, Nada Raza, Negar Azimi, Nicholas Cullinan, Slavs and Tatars, Taus Makhacheva, Venice Biennale, YARAT!. Bookmark the permalink.